This practical and fun comic book guide also helps you navigate everyday Tokyo life, like train etiquette, trash disposal, tricky toilets, department store fi tting rooms and the surgical mask phenomenon. There is also information on ways to prepare ahead of time to make the most of your stay in Tokyo. Whether you're planning a trip or taking an armchair sojourn, use Cool Tokyo Guide to discover the customs and attractions that make Tokyo so globally appealing. 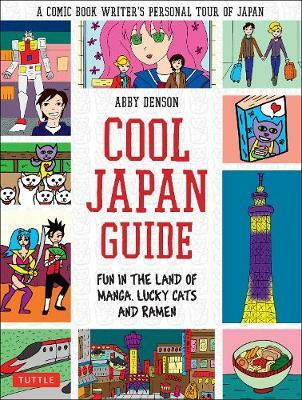 Buy Cool Tokyo Guide by Abby Denson from Australia's Online Independent Bookstore, Boomerang Books.